Liverpool reutrned to the top of the Premier League table on Sunday afternoon, as they overcame Chelsea at Anfield with a comfortable 2-0 victory. In what was viewed by many as Liverpool's toughest remaining game this season, the Reds grabbed all three points through ​Sadio Mane and ​Mohamed Salah's early second half goals. In spooky fashion, this fixture was a repeat of the game which cost Liverpool the league the last time they were involved in a title race. In this fixture in 2014, a slip from captain Steven Gerrard allowed Demba Ba to nip in to put ​Chelsea on their way to a 2-0 victory - a result which saw Liverpool lose the upper hand to Manchester City in the title race. With the infamous slip dominating the build-up to Sunday's fixture, hearts would have been in mouths when Scotsman Andy Robertson slipped on the halfway line in similar style to the former ​Liverpool captain. As reported by ​The Times, Reds manager Klopp allowed himself a wry smile at the sight of his left-back's slip. Thankfully for the Merseysiders, there were no Chelsea players nearby to repeat Ba's clinical finish this time around. Had history repeated itself however, you could be sure that the smile would have been wiped from the German's face very quickly. Instead, the former ​Hull City full-back helped his side go on to keep a clean sheet and return to the top of the table. The Reds sit two points clear of rivals Man City, though the Cityzens have one game in hand. 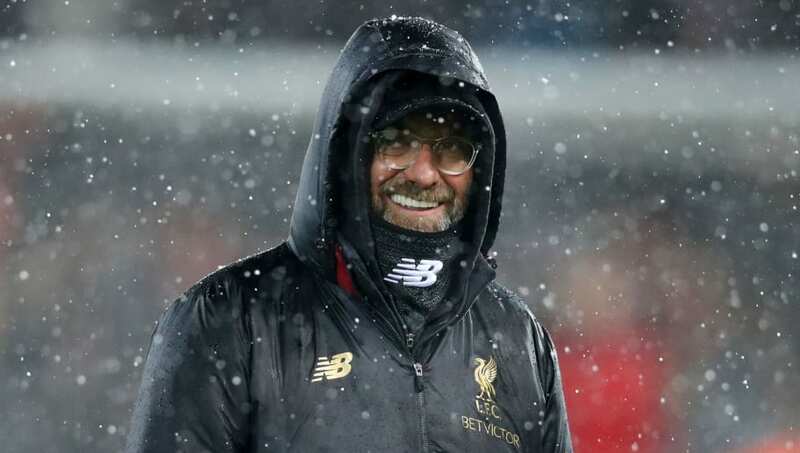 However, City face tricky ties against ​Tottenham Hotspur and ​Manchester United, and Klopp will be praying for a City slip up that gifts his side the upper hand as the Premier League season comes to a close.